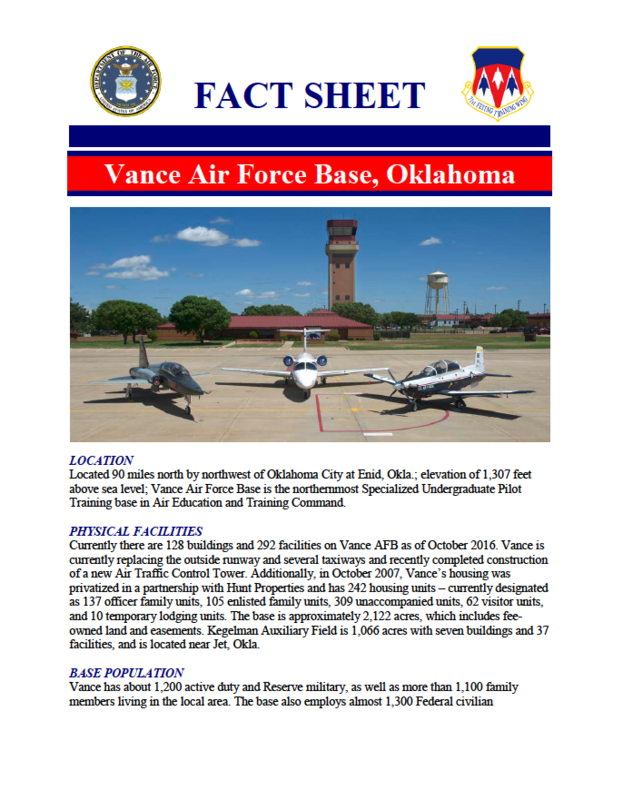 A fact sheet about Vance Air Force Base. An overview of Vance Air Force Base. The "Weather and Climate Fire Indicators and the March 6, 2017 Outbreak" talk was presented by Monica Mattox (Assistant Oklahoma State Climatologist) at the 2018 Southern Plains Wildlife Forum in Beaver, OK. This is Part 1 of 3. 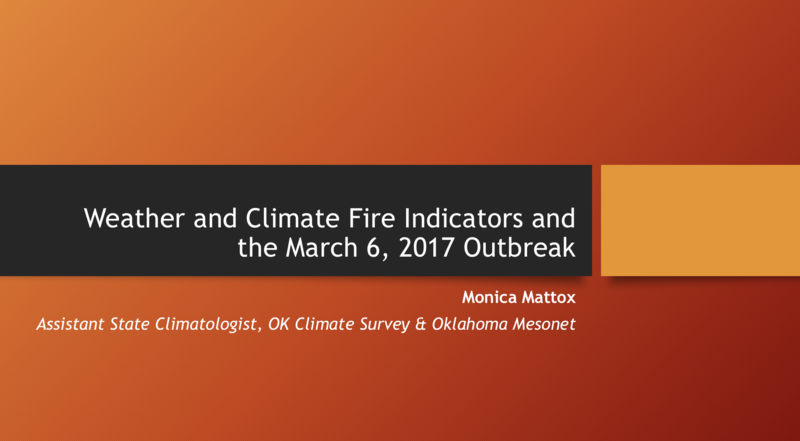 The "Weather and Climate Fire Indicators and the March 6, 2017 Outbreak" talk was presented by Monica Mattox (Assistant Oklahoma State Climatologist) at the 2018 Southern Plains Wildlife Forum in Beaver, OK. This is Part 2 of 3. The "Weather and Climate Fire Indicators and the March 6, 2017 Outbreak" talk was presented by Monica Mattox (Assistant Oklahoma State Climatologist) at the 2018 Southern Plains Wildlife Forum in Beaver, OK. This is Part 3 of 3. 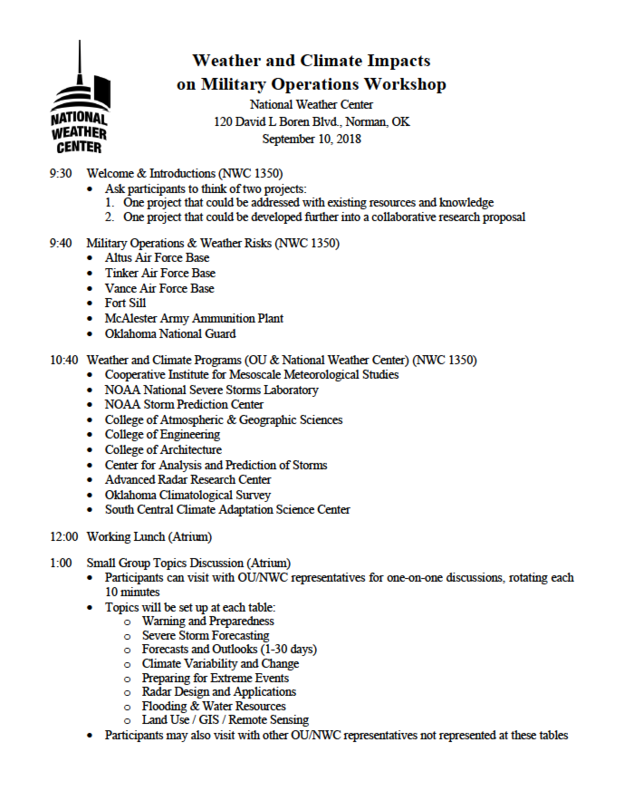 The agenda for the Weather and Climate Impacts on Military Operations Workshop on September 10, 2018. 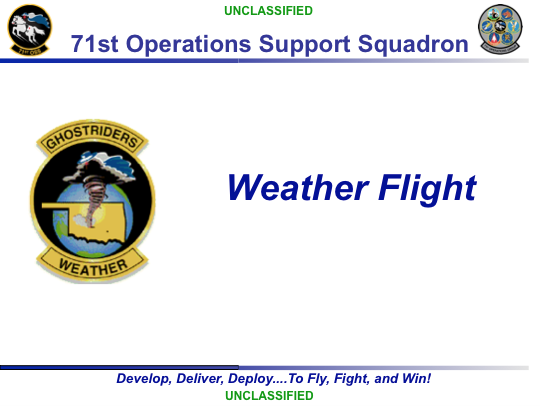 A list of participants of the Weather and Climate on Military Operations Workshop on September 10, 2018. 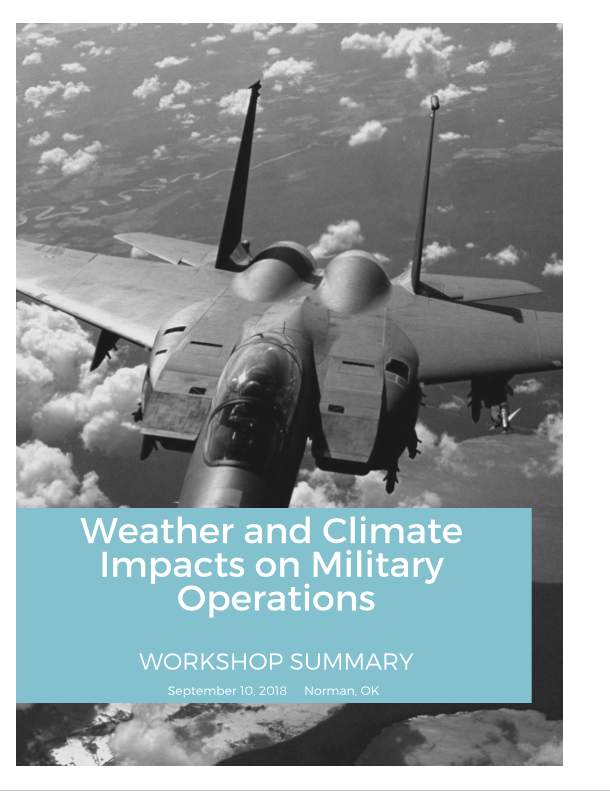 In September of 2018, representatives from six Oklahoma military installations along with members of the weather and climate research community across the University of Oklahoma participated in the workshop, Weather and Climate Impacts on Military Operations. The Southern Climate Impacts Planning Program (SCIPP), a NOAA RISA team, in conjunction with the Colleges of Atmospheric and Geographic Sciences and Engineering, hosted this workshop. This report includes an overview of the workshop goals, presentations, discussions, and outcomes. An overview of the workshop successes is also provided, based on the results of the workshop post-event survey. This poster provides a summary of the research that 2014 SCIPP intern and University of Oklahoma student Tara Rodgers completed while working at NOAA Gulf Coast Joint Venture (GCJV). The goal of the research was to determine an appropriate parameter that explains environmental influences on seasonal waterfowl habitat within agricultural landscapes of the GCJV region. Authors: Tara Rodgers, Stephen J. DeMaso, and Nicholas Enwright. File Size: 2.1 MB.